FREE Seasoned To Go kit with any Grill purchase! 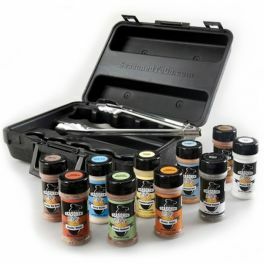 A carrying kit pre-filled with seasonings. You can take it out to the grill at home, camping, or tailgating! present this email on your hand-held device to receive your discount. Offer expires on 4/30/19. Applies to in stock items only. No cash value. Limit 1 per customer.